We all have demons ... some are more real than others. 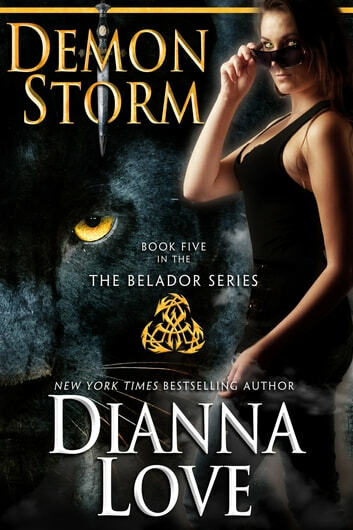 In the fifth book of this bestselling paranormal series, Evalle faces her greatest nightmare - losing Storm - and without his help the Beladors will fall to their most dangerous enemy. With Treoir Island in shambles after a Medb attack that left the survival of the missing Belador warrior queen in question and Belador powers compromised, there is one hope for her return and their future - Evalle Kincaid, whose recent transformation has turned her into an even more formidable warrior. First she has to locate Storm, the Skinwalker she's bonded with who she believes can find the Belador queen, but Storm stalks the witch doctor who's threatening Evalle's life. When he finally corners the witch doctor, she throws Storm a curve that may cost him everything, including Evalle. The hunter becomes the hunted, and Evalle must face her greatest nightmare to save Storm and the Beladors or watch the future of mankind fall to deadly preternatural predators. I have followed this series from the very start and it keeps getting better and better. 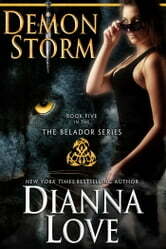 This book centers around Evalle and Storm's relationship. We see determination on both sides as Evalle tries to save Storm. But Storm is just as determined to keep Evalle away. Perfect story line! Tied in previos and next wondfery• loved it!! CAN NOT WAIT TO CONTINUE THE SERIES!! I love all the books in the Beladour series! I read every one I see, sometimes not in the right order, but it doesn't matter, the stories are wonderful and exciting. Keep them coming! !